Geosynthetic reinforced soil-integrated bridge system technology—part of all three rounds of Every Day Counts—is developing a track record. “Before GRS-IBS was named an EDC technology in 2010, we had a few projects in a few counties,” said Daniel Alzamora, Federal Highway Administration geotechnical engineer and leader of the EDC-3 GRS-IBS Innovation Deployment Team. Now the number of GRS-IBS structures nationwide is approaching 300. Eight states have adopted GRS-IBS technology as a standard practice. Another 26 states, Washington, D.C., Puerto Rico and Federal Lands Highway have used GRS-IBS on projects or are preparing to deploy the technology. GRS–IBS uses alternating layers of compacted granular fill material and layers of geosynthetic reinforcement to support bridges. The technology integrates the roadway approach to the bridge, eliminating the bump drivers commonly feel between the road and bridge. “We’re promoting this technology because we’re seeing lower costs and faster construction time, we’re using readily available materials and equipment, and we’re eliminating that bump at the end of the bridge,” said Alzamora. 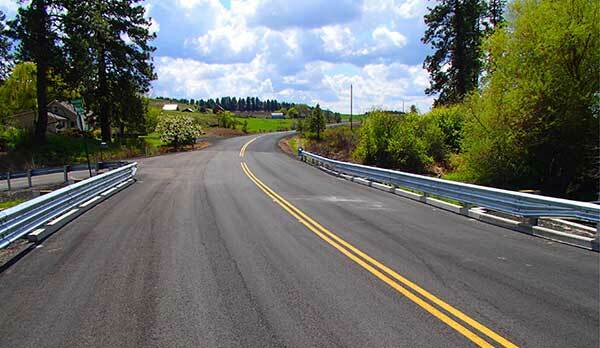 GRS-IBS has been used successfully on a variety of crossing types and roadway geometries with different kinds of superstructures, facings, fill materials and geosynthetics. Both agency staff and contractors are designing and building GRS-IBS structures. “If you haven’t tried this technology and you would like to, you would be in good company,” Alzamora said. Among the GRS-IBS projects that have received funding from FHWA’s Accelerated Innovation Deployment Demonstration program is the White Swan Bridge replacement. An Ohkay Owingeh Pueblo road crew did the work, replacing the 60-foot span near Santa Fe, New Mexico, in 2015. The bridge over a drainage basin flooded several times in the past decade, so the tribal council chose GRS-IBS construction over rehabilitation to ensure a long-term fix for the structure, said Christy Mermejo, director of the Ohkay Owingeh Public Works Department. Benefits of using GRS-IBS instead of conventional technology included shorter construction time—two versus four-and-a-half months—and lower project cost—less than half. To prepare for the project, Ohkay Owingeh staff members immersed themselves in FHWA GRS-IBS guidance and training. They also attended a 2014 project showcase in Blackwell, Oklahoma, at which the Kaw Nation and Kay County demonstrated GRS-IBS construction. In a 2014 project, a Spokane County, Washington, crew used GRS-IBS for the first time to replace the Cheney Plaza Bridge over Sanders Creek. The new 37.5-foot-wide span replaced a 19-foot wide bridge that was in poor condition and had weight restrictions. When the project bid came in higher than expected, the county opted to do the work with its own crew, said Neil Carroll, Spokane County bridge engineer. The cost to build the GRS-IBS structure was about half the cost of typical construction. Since its completion, the new bridge has performed well with no settlement or pavement cracking, said Carroll. “We have built bridges of this span length before in a more conventional way and routinely get cracking at the end of the bridge, which eventually leads to maintenance issues,” he said. Left to Right: 1) Crews place geosynthetic fabric on the I-70 GRS-IBS project in Colorado. 2) An Ohkay Owingeh road crew used GRS-IBS to replace the White Swan Bridge. 3) Transportation professionals observed GRS-IBS construction at a Louisiana showcase, credit: Louisiana Department of Transportation and Development. A 2015 showcase in Aurora, Colorado, enabled transportation professionals to observe GRS-IBS construction on a bridge replacement project on I-70 over Smith Road and the Union Pacific Railroad. The project—the nation’s first to use GRS-IBS technology on a three-span highway bridge—involves removing the bridge superstructures and replacing them with wider, 60-foot structures. It received a Highways for LIFE demonstration project grant to use GRS-IBS. Observations after the project’s first phase, which involved replacing the westbound bridge, found that the bridge is performing as expected. At another 2015 showcase, representatives of the Louisiana Department of Transportation and Development and local parishes observed GRS-IBS construction in Vermilion Parish. The project to replace the Maree Michel and Creek Bridges on Louisiana Highway 91 received a Highways for LIFE grant to use GRS-IBS and prefabricated bridge elements and systems. At the showcase, participants heard presentations by GRS-IBS experts, including a Defiance County, Ohio, engineer involved in construction of more than 30 GRS-IBS structures. Several parish officials expressed interest in using GRS-IBS on future projects. View the GRS-IBS EDC Exchange for an update on deployment and case studies. Read the Geosynthetic Reinforced Soil-Integrated Bridge System Interim Implementation Guide for guidance on design. Attend the GeoAmericas 2016 Conference April 10 to 13 in Miami Beach, Florida, for technical discussions and presentations on geosynthetics. Use of energy-saving warm-mix asphalt technologies continues to rise, generating construction and environmental benefits and contributing to longer pavement life. Using warm-mix asphalt enabled the Vermont Agency of Transportation to reduce traffic disruption on a pavement rehabilitation project. Warm-mix asphalt includes a range of technologies that reduce the production and placement temperature of asphalt pavement mixtures. It was one of the first technologies targeted for deployment through the Federal Highway Administration’s Every Day Counts initiative. Nearly 114 million tons of warm-mix asphalt was produced in 2014, about a third of all asphalt pavement mix production. This marks a greater than 577 percent increase in the use of warm-mix asphalt since 2009, the first year the National Asphalt Pavement Association conducted its annual survey of asphalt mix producers. Plant foaming is the technology most often used to produce warm-mix asphalt, with more than 84 percent of the market, according to the NAPA survey. Additives account for about 16 percent of the market. Warm-mix asphalt makes up over half of total asphalt mix production in 15 states. Six of them—Delaware, Kansas, Louisiana, Mississippi, Ohio and Virginia—reported warm-mix asphalt as 75 percent or more of total production in 2014. Because it’s produced at lower temperatures than traditional hot-mix asphalt, warm-mix asphalt reduces fuel use and emissions. Other benefits include the ability to pave in cooler temperatures and haul mixes longer distances or through congested urban areas while maintaining their workability. Highway agencies and contractors consider warm-mix asphalt particularly useful as a compaction aid to increase pavement density, said Matthew Corrigan, FHWA pavement engineer and leader of the EDC-1 Warm-Mix Asphalt Innovation Deployment Team. “Improved density can contribute to a longer-performing roadway,” he said. A key factor in the spread of warm-mix asphalt has been cooperation among transportation stakeholders, said Corrigan. FHWA, state highway agencies, industry and academia worked together over the years to investigate the technical aspects of warm-mix asphalt, develop guidance on using it appropriately and make recommendations to maximize its benefits. “Warm-mix asphalt has a life of its own now,” Corrigan said. The Dickinson County Road Commission and the city of Kingsford, Michigan, used warm-mix asphalt when they rehabilitated a section of Pine Mountain Road/Westwood Avenue. 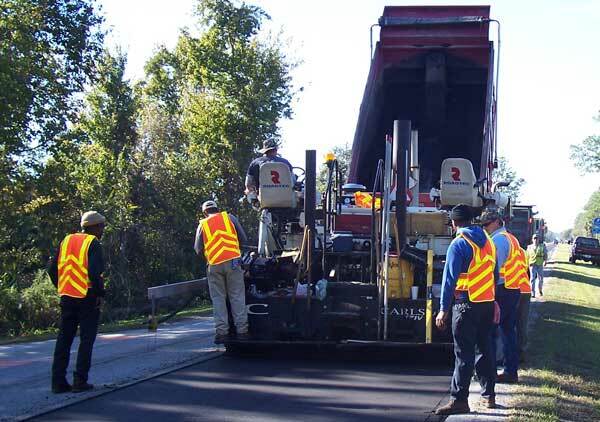 Crews on the project, which received an FHWA Accelerated Innovation Deployment Demonstration award, recycled the existing asphalt pavement and added warm-mix asphalt as a wearing surface. In addition to being environmentally friendly, combining innovative techniques on the project cost about 40 percent less than using traditional paving methods. The project involved lane closures on 14 days, about half the number of days estimated for traditional construction. Warm-mix asphalt is also one of the strategies the Vermont Agency of Transportation used to rehabilitate segments of U.S. 4A and Vermont 30 in the Castleton area. The agency was awarded a Highways for LIFE grant to demonstrate innovation on the project, which also featured intelligent compaction and the Safety EdgeSM. Using warm-mix asphalt reduced the time needed for the newly applied asphalt mat temperature to drop. That resulted in 30 percent less waiting time before the lane could be reopened to traffic, according to an FHWA report on the project. Warmmixasphalt.com features a range of information on warm-mix asphalt, including reports, guidance and best practices. FHWA’s warm-mix asphalt site has details on technologies and research. At the Iowa Department of Transportation, the emphasis these days is on being “risk advantageous,” according to Director Paul Trombino III. “We don’t just manage risk; we take advantage of it,” said Trombino, also president of the American Association of State Highway and Transportation Officials. He spoke at a 2016 Transportation Research Board Annual Meeting session that featured a dialogue among executives on meeting transportation challenges through proactive leadership in innovation. FHWA Administrator Gregory Nadeau (center) stopped by the Every Day Counts booth at the Transportation Research Board Annual Meeting. 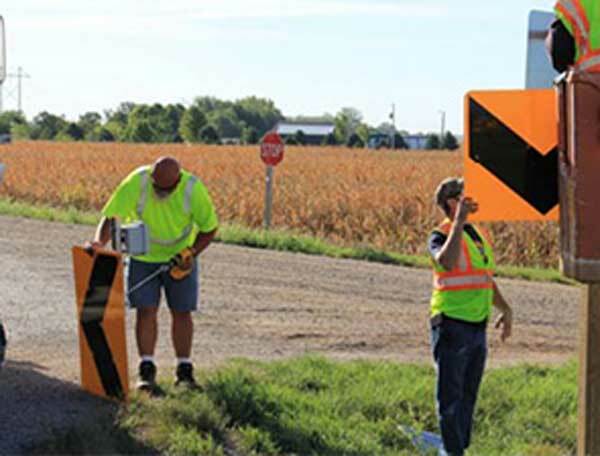 Successful innovation to meet today’s challenges requires people equipped to embrace change as an opportunity, Trombino said, so the Iowa DOT has trained some 500 staff members in leadership. The transportation CEO’s leadership role includes investing in the organization’s people by providing training and by “being out there on the ground to help them, understand the obstacles they face and work to remove them,” said Lynn Peterson, former secretary of the Washington State Department of Transportation. The agency introduced a Practical Solutions strategy to transform its approach to making transportation investment decisions, Peterson said. The strategy uses least-cost planning and practical design that focuses on project purpose and community needs. “We’re changing the way we do things from stem to stern,” Peterson said. Benefits of applying innovative thinking and performance-based rather than standards-based design include cost savings of 20 to 60 percent on projects. Technology advances have enabled innovations such as Uber, an on-demand transportation app that connects riders and drivers, said Rachel Holt, East Coast general manager for Uber Technologies Inc. “Not that long ago, things looked very different,” she said. One of the challenges the company is addressing is state regulations that affect Uber operations. “Often the older way of doing things does come in conflict with the newer way of doing things,” Holt said. In the cities where it operates, Uber complements public transportation and serves as a component of a seamless multimodal trip, she said. The company’s UberPool service, which saves riders money by pooling them with other riders heading in the same direction, can reduce traffic congestion, gas emissions and the need for parking. “We see ourselves as part of a full transportation infrastructure,” Holt said. 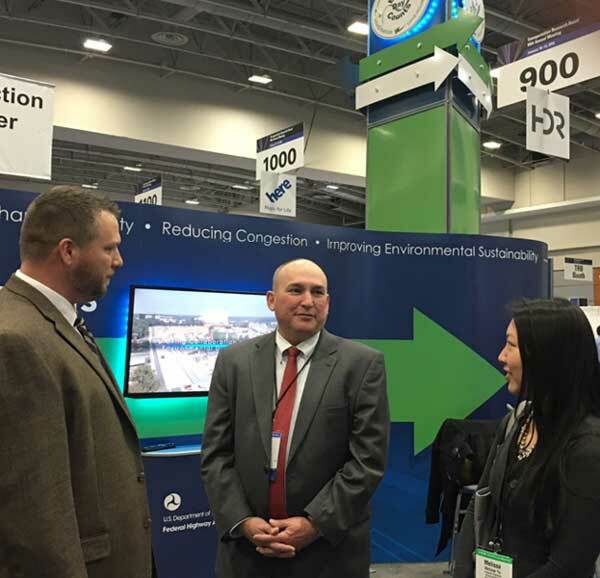 At the Federal Highway Administration, innovation leadership focuses on the Every Day Counts initiative, the agency’s partnership with state and local governments, the private sector and the academic community to mainstream innovation, said Administrator Gregory Nadeau. 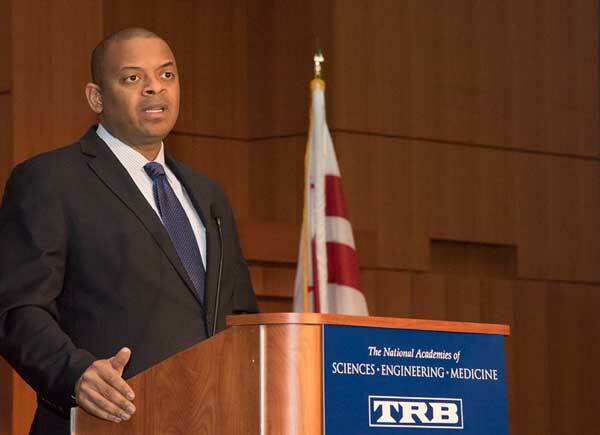 Continued expansion of the national network of State Transportation Innovation Councils, active in 47 states, Puerto Rico, the U.S. Virgin Islands and Washington, D.C.
U.S. Transportation Secretary Anthony Foxx challenged transportation professionals to identify innovative solutions for reconnecting communities. “Ask what you can do to help communities measure and visualize how well a project increases connectivity for all residents and be a thought leader for solutions that connect point A to point B, without forgetting the points and people in between,” Foxx said in remarks at the Transportation Research Board Annual Meeting. The transportation community has a higher purpose than creating throughput, Foxx said. Many states across the nation are discovering that you really don’t need all that paperwork to complete a highway construction project. 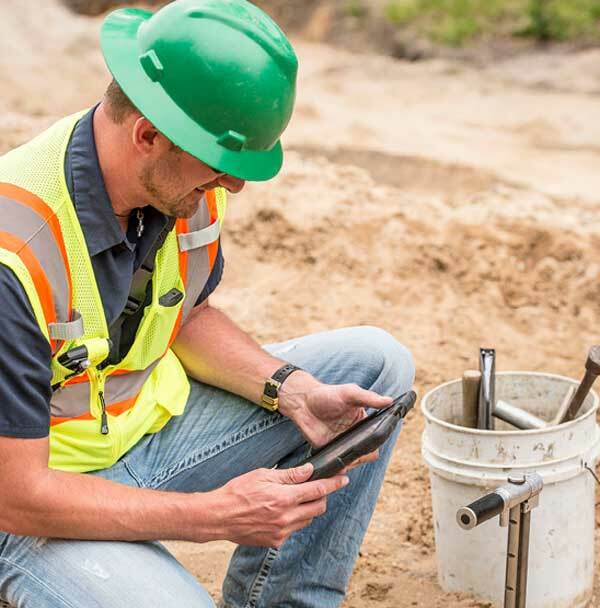 Agencies are using mobile devices for field inspections and data collection. “e-Construction is an absolute game changer,” said Cliff Farr, construction technology manager for the Michigan Department of Transportation. e-Construction is the collection, review, approval and distribution of highway construction contract documents in a paperless environment. The process includes electronic submission of all construction documentation, electronic document routing and approvals through electronic signatures. It involves digital management of construction documents in a secure environment that allows distribution to all stakeholders through mobile devices. A paper-based system requires significant time and money to create, process and store documentation. In this era of instant communication and a tech-savvy workforce, the paper process is quickly becoming obsolete. Through the Every Day Counts initiative, the Federal Highway Administration and American Association of State Highway and Transportation Officials are partnering to help states adopt e-Construction. States are reporting dramatic savings in time and money. The Michigan DOT, with a 2015 construction program of $1.2 billion, estimates it’s saving $12 million a year, eliminating six million pieces of paper and slashing construction modification times from 30 days to just three days with the use of e-construction. The agency rates itself as 99 percent paperless. It uses paper for the tickets on materials, but that will change as it investigates alternatives. For Michigan, e-Construction includes the electronic transfer of plans and specifications, data hosting services, electronic review and approval of documents through e-signatures, and electronic as-built drawings. “Basically, we get rid of the paper trail,” said Brad Wieferich, Michigan DOT deputy chief engineer. The Florida Department of Transportation is another e-Construction leader. At the rate of saving $45,000 annually per contract, spread over 500 active projects, the agency estimates it could save $22 million per year with e-Construction, said Doug Martin, construction systems engineer. The Florida DOT has implemented e-construction under the leadership of a group of innovators at its highest level, including the chief engineer. The state reports it replaced over 20,000 pieces of paper on just four projects. Several states—including Iowa, Minnesota, Missouri, North Carolina, Pennsylvania, Texas, Virginia, West Virginia and Utah—have built two or more projects using e-Construction, said Bryan Cawley of FHWA’s Office of Infrastructure, who leads the EDC-3 e-Construction Innovation Deployment Team. Going paperless does involve challenges, Cawley said. One concern is the length of time it takes for construction inspectors to adapt to using the new technology. But a research project carried out by the Minnesota, Washington State and Texas Departments of Transportation found that after about three days, the inspectors “grabbed hold of it and could look up project documents and process and approve contract documents on an electronic screen,” said Cawley. You need less physical space to store documents. You can create a more consistent approach to decision-making. You have real-time access to data through secure data management systems. You can back up and store more project data electronically to make it natural disaster-proof. The Florida DOT has 140-plus forms that need to be filled out to complete a construction project. “At first, we went through the list and picked out the ones that we could easily make electronic,” said Martin. By December 2015, the agency had nearly finished the entire list. To move the e-Construction process along, leaders of three major stakeholders—the Florida DOT, Florida Institute of Civil Engineers and Florida Transportation Builders Association—signed a memo of understanding that they would endorse e-Construction and recommend it to their members. “Our goal is to be completely paperless by July 1, 2016,” said Martin. Video: View Introduction to e-Construction webinar. Watch the Introduction to e-Construction webinar and register for the e-Construction for Contractors and Consultants webinar from 1:30 to 3 p.m. ET on March 16. Register for the EDC Exchange on e-Construction from 2 to 4 p.m. ET on April 21. Read the Florida DOT e-Construction How-To Guide on implementing a paperless system. Read reports on peer exchanges for e-Construction best practices in several states. For information and technical assistance on using e-Construction, contact Bryan Cawley of the FHWA Office of Infrastructure, Richard Duval of the FHWA Office of Infrastructure Research and Development or Kathryn Weisner of the FHWA Resource Center. A Federal Highway Administration evaluation project found that a solar-powered traffic signage system reduces vehicle speed and crashes on horizontal curves, where the crash rate is triple that of other highway segments. The project evaluated the safety benefits of the Sequential Dynamic Curve Warning System, manufactured by Traffic & Parking Control Co. Inc. of Brown Deer, Wisconsin. The system uses LED-illuminated chevrons to provide drivers with advance warning of and guidance through horizontal curves. Safety and traffic engineers can install the system, intended to improve safety over static warning and chevron signage, to help reduce the speed of drivers that approach a curve too fast. More than a quarter of fatal crashes occur at horizontal curves, and the majority of curve-related crashes involve roadway departure because of speeding or driver error. FHWA conducted the study under the Technology Partnerships program, part of the Highways for LIFE pilot program to accelerate the use of proven innovations in the highway community. Evaluation of the Sequential Dynamic Curve Warning System included 12 treatment sites on rural curves in Iowa, Missouri, Texas, Washington and Wisconsin. The research team collected speed data before the system was installed at the sites, as well as one, 12, 18 and 24 months after installation. The system was effective at reducing vehicle speeds during all data collection periods from one to 24 months after installation, which suggests that drivers don’t get used to the system and begin to ignore it over time. More drivers traveled at or slightly below the speed limit after the system was installed, but the largest reduction was in drivers exceeding the speed limit by 20 or more miles per hour. Higher decreases were found at the point of curvature, which suggests that drivers respond to the system and reduce their speed before entering the curve. At three sites, no crashes occurred during the two years after the system was installed. At seven sites, crashes dropped between 17 and 91 percent. At two sites, crashes increased 7 and 11 percent, respectively. Location: Solar power is needed to operate the system, so locations should be investigated to ensure a good view of the southern sky. Maintenance: Researchers encountered few maintenance issues during the study, but agencies should monitor the operation of the devices to make sure they function properly. “The results from this research add to the body of knowledge and provide safety engineers with another tool to address curve-related crashes,” the evaluation team wrote in a report on the project. An FHWA webinar on roadway departure safety covered the TAPCO study and other engineering solutions intended to reduce the number and severity of roadway departure crashes. The Arizona Department of Transportation, State Historic Preservation Office, Advisory Council on Historic Preservation and Federal Highway Administration signed a programmatic agreement to streamline project reviews under Section 106 of the National Historic Preservation Act. The December 2015 agreement differs from its predecessor by allowing other federal agencies and tribal governments to sign on to the agreement to address cultural resources on their lands. Other changes include a list of exempt activities to make the Section 106 process more efficient. Officials cut the ribbon to open Iowa’s first diverging diamond interchange. New diverging diamond interchanges in Indiana and Iowa add to the nation’s growing list. The Indiana Department of Transportation opened the state’s second diverging diamond interchange at I-65 and County Road 750 North/Worthsville Road in Greenwood. It’s designed to enhance safety, address traffic congestion and provide access from I-65 to Johnson County. The Iowa Department of Transportation partnered with the cities of Waukee and West Des Moines on the state’s first diverging diamond interchange. It carries Grand Prairie Parkway over I-80. U.S. Deputy Transportation Secretary Victor Mendez joined Kentucky Governor Steve Beshear and Indiana Governor Mike Pence for a ribbon cutting on the new northbound I‐65 bridge between Louisville, Kentucky, and Jeffersonville, Indiana. Built using the design-build project delivery method, the Abraham Lincoln Bridge is the first new bridge across the Ohio River in the Louisville metropolitan area in 52 years. The bridge is part of the $2.3 billion Ohio River Bridges project, a joint effort between Indiana and Kentucky. The Michigan Department of Transportation conducted a road safety audit on I-94 from Jackson County to the Indiana state line. The RSA—a formal safety performance examination by a multidisciplinary team—was initiated after the corridor experienced a 193-vehicle pileup in winter 2015. The RSA report recommendations include applying high-friction surface treatment on select pavement areas to enhance safety. Representatives of the Michigan State Police, FHWA, Wayne State University and other organizations helped conduct the RSA.